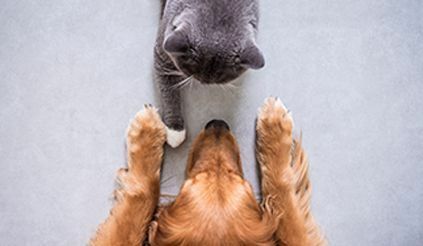 Central Animal Hospital also offers separate canine and feline boarding facilities. Our canine facility includes five runs for very large dogs and 27 cages of varying sizes. If you are concerned your dog may not get enough exercise while boarding, we offer physical conditioning for dogs utilizing the underwater treadmill in our Rehabilitation Center. This exercise program is offered in addition to the minimum three daily walks all boarding dogs receive. We also offer “doggy day care” for your convenience. Our "cats only" boarding facility is completely separated from our canine facility and is set in a quiet, stress-free environment. It houses six standard cage arrangements called "one-room flats" and two "two-room flats." In addition, there are a total of eight "cat condos," and clients may choose to board their kitties in a "one-bedroom/one-bath" cat condo, or a "two-bedroom/two bath" cat condo. 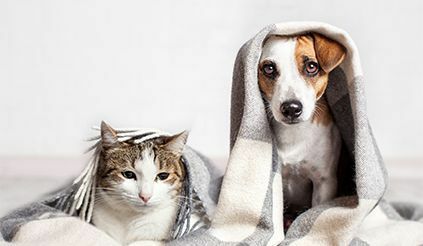 Boarding pets at Central Animal Hospital gives our clients the assurance of having a veterinarian on-hand if the need arises. Our animal caregivers work especially hard daily -- seven days a week -- to maintain clean facilities while caring for boarding pets.